CRM2 is here, are you ready? The only constant is change. with July 15, 2016 come and gone, are you ready for CRM2 changes in your business? Working with advisors, the number one challenge that CRM2 brings is capacity. The number one practice management problem for financial advisors is lack of capacity to serve clients. This comes from the Book “Practice Made More Perfect”, Mark C. Tibergien & Rebecca Pomering Bloomberg Press 2011. Capacity for financial advisors include a shortfall of not enough ideal clients or too many clients. It is more than just time management, it is practice management. But the capacity problem is only going to get worse in 2016 and 2017. When I ask advisors in workshops across the country “When your clients see the fees for advice for the first time, will they want or expect more service?” Most advisors answer, “Yes they will want or expect more”. Then I ask, “How much more will your clients want or expect from you and your team?” If you have 200 clients and they will all need some time to explain the fees, discuss your value and deliver more service, how will you tackle this problem? For example, you have two hundred clients and you expect that they will all need at least one or two more hours to deliver more comprehensive value proposition and more service, then where is the 200-400 extra hours going to come from in 2016? Do you plan to work more hours next year? Do you want to tell your spouse and family to cancel holidays next year? If you are at capacity now, where will 200-400 hours come from? How will you deliver more and meet expectations, articulate and deliver your value? Problem, yes, big challenge, yes, ignored by most, yes. Until it becomes a problem, we tend to ignore things because we are too busy today to tackle the problem. It creeps up on us and hits us on a Wednesday afternoon, when an ideal client comes in and wants an updated comprehensive approach to their finances by the end of the week. It comes when a progress update meeting results in loads of paperwork that has to be completed and you are running out to your kid’s hockey game. The only way to find out is to discuss your fees, and value delivered to your existing clients by building and maintaining a formal feedback process and having critical conversations around your value promise. Without feedback we cannot know what the client expectations are, especially if we have not discussed fees in dollar terms before, and what you deliver for the fees. Finding out that you are meeting and exceeding client expectations in the new world of CRM2 regulation will give you comfort knowing the only capacity issue you will have is how many new ideal clients you can manage next year. If you are meeting and exceeding expectations, and delivering a high value process, investors will beat a path to your door. Top advisors manage their capacity by taking more time off. They have the systems and processes in place with their staff to service clients and manage expectations. They have the processes to deliver comprehensive services and do regular feedback to meet and exceed expectations. 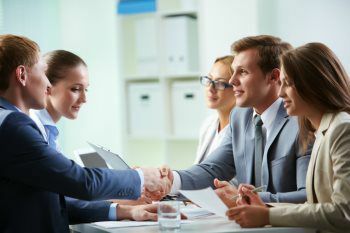 They are great at delegating and building processes such as client checklists, service checklists and follow up checklists to meet and exceed expectations and have a way of articulating their value that clients understand. They have practised it, over and over and use it consistently to service their ideal clients. They focus their time and energy on the things that bring value to their ideal clients and delegate the rest. Then they take more time off. Remember, Wayne Gretzky did not sharpen his own skates. Robo-advisors have difficulty with this. With stronger conversations, you will thrive in the new world of regulatory change, digital advisors, and confidently grow your business regardless of any disruption that comes your way. Have the critical conversations about your fees, your value, and your services. Put it into your value promise document and show your ideal clients what they get and what it costs, with clarity, transparency and empathy. This is what practice management can do for your business.